Are you ready to have some fun? This month, it's all about sharing with you the Sweet Gang's tips on Reclaiming Style. Before and after photos, surprise design elements presented by each designer, unique re-purposed home decor, reclaiming, reusing and redoing is the name of the game. We invite you to come play with us. The Reclaiming Style event is February 21st-24th. Have you ever wondered how the Sweet Gang puts together each event? How they choose a theme? What their design process is? Where they junk and how they transform their treasures. Have you ever thought, "If only I could be a fly on the wall"? Well, this month, as part of the Reclaiming Style Event, Sweet Salvage has installed a time lapse camera to share the process with you. A true sneak peek, exciting. I can't wait to see the finished video which I will post for all of you. Keep checking back throughout the month for inspiration and tips on how to reclaim your style. 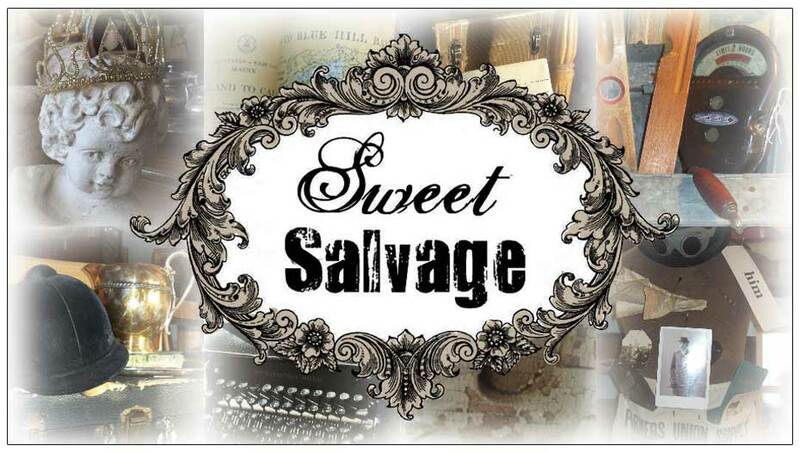 Sweet Salvage is so honored to have Heather Bullard here this week to photograph the Green Acres event for her Spring issue of Souvenir Magazine. Heather will be shooting the Sweet Gang's vignettes today and will make a special appearance on Thursday, to experience the excitement of opening day. Thank you Mrs. Bullard, for the honored opportunity to be a part of your wonderful magazine. Heather Bullard is a stylist, photographer and editorial story producer based in southern California. Her experience in the industry includes creating fresh story concepts, scouting locations, creative direction, styling and photography. Her passion for interiors and lifestyle stories and the ability to deliver inspired ideas is evident in all her projects. Prior to establishing roots in publishing, Heather garnered over 15 years in the retail, interior design and antique industries as a shop owner and antique dealer. This experience has given her a unique set of inventive skills and vast network of resources which are infused into her assignments. Her editorial contributions and features can be seen in a variety of lifestyle and shelter publications such as Flea Market Style, Romantic Homes and Country Living Magazine where she is currently a Contributing Editor. Her popular lifestyle blog, started in 2006, maintains a substantial and loyal following and was the catalyst that naturally lead her into the field of publishing being sought out by editors for her discerning eye and fresh approach to vintage style. In 2011, she launched Souvenir - A Seasonal Lifestyle Gazette. The quarterly online publication focuses on celebrating the best of each and every season through it's stories and features. Oh how I love a little sparkle and bling. The vintage clothing displayed this month has me swooning with delight. I am dreaming of a beautiful dressing room filled with designer gowns, to die for shoes and a glamorous vanity where I could powder my nose under the glistening lights of an amazing chandelier anticipating a romantic night on the town. It is simply enchanting. Well Park Avenue may be hundreds of miles away but the Sweet Gang has brought the magic of the Big Apple right here. Open, Open, Open if I do say so myself. I am green with garden envy. Beauty surrounds me as I gaze upon the secret gardens created by the Sweet Gang for this month's Green Acres Event, January 17th-20th. French beds that beckon you to relax as you read the latest novel. Farm tables set for entertaining in the finest of farmhouse house style. Architectural elements from around the world who have been aged to perfection. Ornate iron work and patio furniture waiting to be enjoyed on a warm spring night. The possibilities are endless and so inspiring. Here is your first peek.